It is time for dark templates to get update! We are pleased to announce the release of Kability template update. Now the version 2.0.0 of this nice dark template is compatible with Kunena 5.1 standards. Do not hesitate to get fresh Kability template now and keep your site up-to-date with the latest Kunena version. 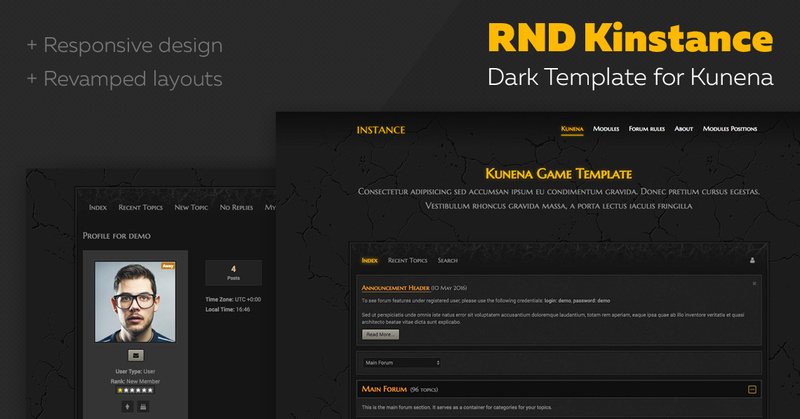 Today we are glad to introduce an update of dark template RND Kinstance 2.0 which is Kunena 5.1 compatible now. 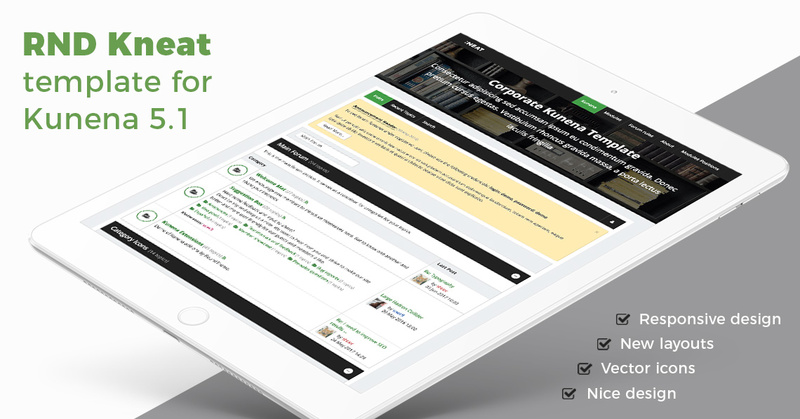 Feel free to get the latest version of our nice template and update it on your site! We go on working on template updates and today we would like to introduce a new version of Kneat template to you which is compatible with Kunena 5.1 now. Do not hesitate to download and update it! RND KGlorious is Kunena 5.1 compatible now! Good news! 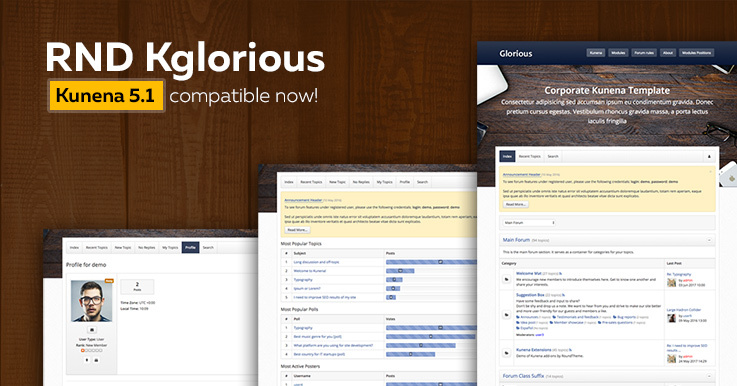 As you know, we have been worked on template updates during a few months and, as the result, new version of popular template KGlorious released. This product is compatible to Kunena 5.1 and you are free to update it on your sites. 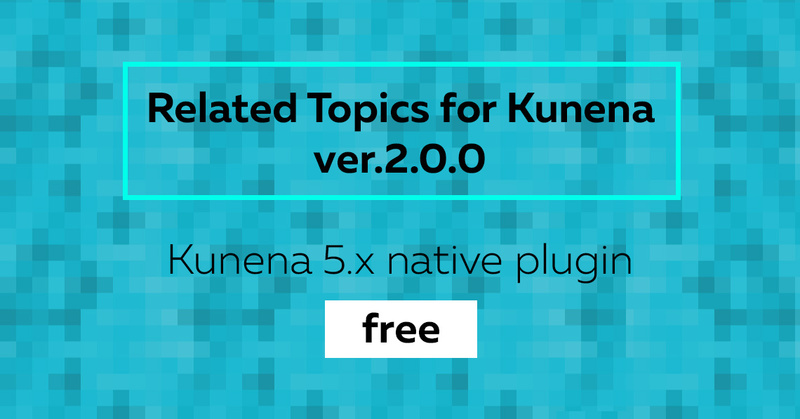 We are proud to introduce new version of Realted Topics for Kunena - a plugin displaying the list of relevant topics which help users to see similar discussions. Now the plugin is Kunena 5 native and an be downloaded for free.